Today we added a long due work to the library entries: The official history of the Great Patriotic War of the Soviet Union, 1941-1945. Research into the historiography of the Second World War in the USSR is still ongoing, so expect additions and corrections. In order to explain why I am linking with google translate to an Entry on archive.org, a little explanation is probably warranted. For a long time our knowledge about the organisation of the Red Army and its structure during World War II was fragmental at best. While the western Allies published extensive official histories, and the defeated countries of the Axis saw whole archives transferred to Washington and dissected there, the Soviet Union shrouded everything military in a veil of secrecy. Until the late Eighties, the best and most reliable information on the history of the Red Army came from captured german intelligence records. The Collapse of the Eastern Block changed all this. For a brief period in the Nineties, archives and libraries opened their doors, and a wealth of information was suddenly available for researchers and historians. In 1995 Charles S. Sharp started publishing a series of orders of battle of the Red Army detailing the unit histories of the ground formations of the Soviet Army and NKVD. Sharp partly leaned on the research by Poirer and Conner and used some on the original German records, but the most important new source was the official order of battle of the Soviet Army as published by the Soviet Ministry of Defense from 1956 to 1990. It was relatively unknown until the early 1990s because the Ministry of Defense had classified all of them as secret. The problem with these OOBs is they only detail the combat forces and not the support forces. A couple of years ago then information seeped out of the former USSR about a much larger series of books detailing not only the combat units, but also the combat support and combat service support units of the Army, Navy, Air Force and PVO forces. Finally, on 24th August of 2007, through his source, Igor Ivlev posted on his soldat.ru website scans of most (one is missing) of these books. It seems that they are appendices to General Staff Directives (which still remain restricted) showing every formation, unit, sub-unit, establishments and institutions in the Soviet Armed Forces and NKVD in the Operational Army during the war. The first one was published in 1956 and the last in 1973. Intermittent updates followed until 1998. This was and is the most complete and authoritative source about the Red Armys Order of battle in Word War II. Sometime in 2011 soldat.ru went offline, whether do to personal reasons or because the copyright paranoia has by now successfully replaced the cold war paranoia we don’t know. However, archive org thankfully saved a set of the files, so the originals are available. Additionally, the team from RKKA started the herculean task of translating this monumental work into English, and should you not be proficient in Russian, you can always start reading there. However, since the appendices are not available in any library or any other source, I thought that information to be more important at the current moment. Boyd, Alexander. The Soviet Air Force since 1918. New York: Stein and Day, 1977. Erickson, John. Alexander Alexandrovich Novikov. In Stalins Generals, ed. Harold, Shukman, 155-174. New York: Grove Press, 1993. Hardesty, Von. Red Phoenix, the Rise of Soviet Air Power, 1941-1945. Washington: Smithsonian Institution Press, 1982. Command and Staff of the Soviet Army Air Force in the Great Patriotic War 1941-1945. Moscow: Nauka, 1977, Soviet Military Thought, no. 17. Translated by United States Air Force. Washington, D.C.: Government Printing Office, n.d. Marshal Novikov participated in many further operations, but continued to operate in much the same capacity, that of Stavka air representative, often commanding and coordinating air resources for multiple fronts. A list of his battles includes the Kuban, Kursk, and Kiev (1943); Korsun, Ternopol, the relief of Leningrad, the Karelian campaign, and operation Bagration (1944); the Vistula-Oder operation, Konigsberg, Berlin and the campaign against Japan (1945). This constant presence of Novikov was recognized with another promotion, to Chief Air Marshal, on 21 February 1944. Among his many honors, Alexander Alexandrovich Novikov was twice named a Hero of the Soviet Union. After the war Marshal Novikov began working to bring his air force into the jet age. Sadly, before the first Yak-9 was flight-tested he was arrested on the order of Stalin. This occurred on 23 February 1946, and Novikov was far from the only senior military officer caught in Stalins purge of the victors. Stripped of title, rank and decorations, he was left to the tender mercies of Lavrentii Berias prisons for almost six years. Novikov was released in May 1953, two months after Stalins death. By June, with rank and decorations restored, he was again in a place of honor as Commander of Long-Range Aviation and Air Force Deputy Commander-in-Chief. Novikov also found a new wife, Tamara Potapovna Fomina, an aeronautical engineer and graduate of the Military Academy. Soon however, manned bombers gave way to missiles, and Novikov was likewise retired due to his health. He was given the position head of the Higher Civil Aviation School in Leningrad, which he held from 1956 to 1967. On 3 February 1976 Air Chief Marshal Alexander Novikov passed from this earth. Yet how much do we know of his personality? The fact that at least one child was with him in Leningrad in 1941 indicates that he did discharge some family responsibilities. Anecdotes contained in the referenced sources indicate he was a drinking man. First the reprimand as a tippler, then a note that he gave American Lieutenant-General Ira Eaker advice that an apple eaten before vodka toasts would absorb the alcohol, and finally a quote of Krushchev He drank more than was probably good for him. Yet Krushchev, who knew him from Stalingrad, also said, He was a dedicated, honest and honorable man, and in that time, under those pressures, a great many men drank more than they should. That this twice Hero of the Soviet Union was betrayed by Stalin, a man he had served for so many years, is not an indictment. He was certainly a hard worker, and could not have risen to such a high military position or survived the war if he had not been an extremely competent leader. The reforms he instituted in tactics and organizational structures greatly aided the Red Air Force in coming to grips with Germanys Luftwaffe, and his personal direction of many key aerial campaigns in the greatest war of the air age marks him as one of historys preeminent air commanders. Erickson, 173-4; Hardesty, 213; Boyd, 216-7. From the very beginning of the war with Germany Major-General Novikov skillfully used the forces available to him. As early as 25 June 1941 Novikov launched offensive raids against German and Finish airfields. Although Novikovs airmen flew 16,567 sorties in 22 days, nothing seemed to slow the Axis advance. As German and Finnish forces closed in on Leningrad our air commander found himself with fewer and fewer operational aircraft. Zhukov arrived on 10 September, and by the time he left in early October the city was surrounded. But the city was held; though hundreds of thousands would die during the siege. Novikovs own young son was flown out over the air bridge. On 3 February 1942 Novikov met with Stalin and was given the job of Air Force First Deputy Commander. He was immediately sent to Western Front to plan and coordinate air operations for Zhukov. Further assignments to key operations quickly followed. In these operations Novikov stressed the importance of one central authority over air assets, so that they could be massed and coordinated. Previously, Soviet aircraft had often been dispersed and lacked meaningful coordination. Alexander Novikov was named Commander of the Soviet Army Air Force on 11 April 1942 and concurrently promoted to Lieutenant-General. With the new commander came a new senior staff. The structure and tactics of the air force were also changed by what were known as the Novikov Reforms. Certain ideas were copied from the Germans while others were of Soviet origin. A new long-range aviation organization (ADD) was created. The Air Army replaced frontal aviation. Except for some liaison and reconnaissance aircraft, army level commanders lost their aviation assets. Reserve formations were organized into Air Corps of two or more Air Divisions, with a strength of 120-270 aircraft. Several Air Corps would be given to an Air Army for critical operations, then moved to another sector on an as needed basis. Further reform measures covered rear services, lower level organizational structures, training, and other areas. The new Air Armies and reserve Air Corps gave the Soviet Air Force (VVS) a strategic mobility, which it had lacked. This new ability was demonstrated in the Stalingrad campaign. During the Axis advance to Stalingrad and stubborn defense the VVS didnt seriously challenge the Luftwaffe. This allowed the Soviets to conserve strength, adapt to the new organizational structure, and gain experience with the large numbers of new aircraft coming into inventory. Once the Soviets decided to go over to the offensive this quickly changed. General Novikov continued to be a key player in the Soviet command team, and he was sent as a Stavka (Headquarters, Supreme High Command) representative to various parts of the front. General Novikov arrived at Stalingrad in November 1942, once again at the request of Zhukov, who said, We work well together. Novikov concentrated 1,414 aircraft in three Air Armies to support operation Uranus. The expansible nature of the new Air Armies is demonstrated by the inclusion of four Air Corps from Stavka Reserve. When the attack began poor weather limited the Luftwaffe to 150 sorties over four days. In contrast the VVS flew 1,000 sorties, mostly ground support. Much of the massed Soviet air power was sent against 6th Army and the German air bridge. Several hundred obsolete Soviet planes were used as night harassment bombers. Novikov concentrated his own efforts on organizing a blockade based on hitting the German airfields within and without the pocket, strong antiaircraft defenses along likely routes, and interceptors directed by ground stations. The combination of poor weather and a more effective Red Air Force did not stop the Luftwaffe, but they inflicted heavy losses and kept the rate of supply well below the required level. During the period 19 November 1942 through 2 February 1943 the Soviets flew 35,920 sorties. For his exploits General Novikov was named the Soviet Unions first ever Air Marshal on 17 March 1943. Kozhevnikov, 234; Alexander Boyd, The Soviet Air Force since 1918, (New York: Stein and Day, 1977), 140; Erickson, 163; Von Hardesty, Red Phoenix, the Rise of Soviet Air Power, 1941-1945, (Washington: Smithsonian Institution Press, 1982), 83-85. Boyd, 141; Hardesty, 87; Kozhevnikov, 72-74. Hardesty, 91-2; Boyd, 159; Russell Miller, The Soviet Air Force at War, The Epic of Flight, (Alexandria, Virginia: Time-Life Books, 1983), 117. Erickson, 165; Kozhevnikov, 95; Hardesty, 105. 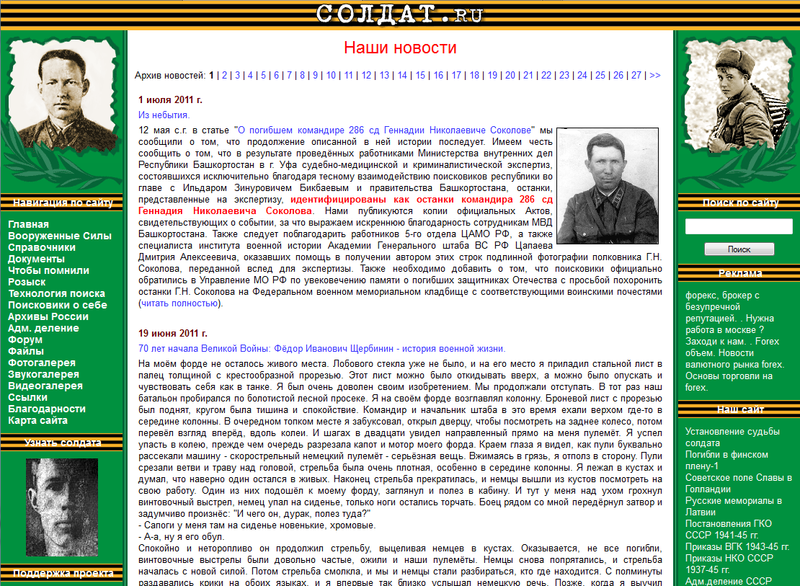 Born into a peasant home in November 1900, Alexander Novikov was noted as a diligent student. Rather than work the fields, he became a teacher, and it appears he was quite satisfied with that profession. It wasnt until 1917 that the war caught up with his family. His father had been a NCO in the Tsars army and was called to serve in the Red Army. Two years later Alexander found himself called to duty, with the 27th PriVolga Regiment. Evidently he drew the attention of his superiors, for in 1920 he has selected to attend a course for junior infantry commanders at Nizhni Novgorod. On 24 May 1920 he was admitted into the Communist Party. Novikovs Civil War service took him first to the northern front, and then to Petrograd, where he arrive just days after the Kronshtadt mutiny. Novikov was soon attached to Tukhachevskys 7th Army staff, and saw the tiny Red Air Force in action against the mutineers. After the campaign was resolved young Novikov was posted back with the infantry. An instructor from his infantry leaders course had become Chief of Staff of the Independent Caucasus Army and got Novikov posted to the south. Once there, this benefactor convinced Novikov to apply for further schools. He was accepted at the Higher Rifle School for Commanders where he won a drawing for a fifteen-minute flight. Novikov was immediately smitten with a strong desire to fly, but could not gain the permission of his superiors to become an aviator. After the war ended Novikov was assigned command positions at the company and battalion level. By 1925 Alexander had a wife Militsa and son Lev, and in 1927 he entered the Frunze Academy which he graduated in 1930 near the top of his class. He was then posted to Smolensk as head of reconnaissance with 11th Rifle Corps. Though thousands of heretofore ground officers were being transferred into the Air Force during the thirties, Novikovs vision had not considered good enough for an aviator. It took arm twisting by his Military District commander, but Novikov was reassigned as chief of staff of the 450th Aviation Brigade. Initially assigned as a non-flyer, by 1933 he passed his pilots examination. In 1935 Alexander Novikov accepted a demotion to command a bomber squadron. This personal triumph was mixed with tragedy due to the death of his wife. Left with three young children and now a squadron to command, Novikov had many responsibilities. Promoted to Colonel in 1936, Novikov was caught up in the purges of 1937, relieved of command, and issued a reprimand. Luck had it that Colonel Novikov was found neither a tippler nor an associate of women of dubious virtue and the reprimand was withdrawn. A former brigade commander was named air commander for the Leningrad Military District and asked for Novikov as Chief of Staff. Holding this post during the Finish war, Novikov came in for some criticism when the ill-trained Soviet Air Force failed to live up to expectations. Most of the blame fell on his commander and one time benefactor, Ptukhin, who was transferred to Kiev. Surprisingly, Stalin appointed Novikov as air commander for the district effective July 1940. John Erickson, Alexander Alexandrovich Novikov, In Stalins Generals, ed. Harold Shukman, 155-174, (New York: Grove Press, 1993), 155-156. Erickson, 157-8; M. N. Kozhevnikov, The Command and Staff of the Soviet Army Air Force in the Great Patriotic War 1941-1945. Moscow: Nauka, 1977, Soviet Military Thought, no. 17. Translated by United States Air Force. (Washington, D.C.: Government Printing Office, n.d.), 68. I don’t have the information as to arrival times of Italian units on the Eastern Front an hand any more, but seem to recall that it was difficult to justify them all being available on the Jul I 1941 turn — some I think arrived after the 15th. But I can not confirm this. You may wish to consider historical alternatives. The Italian High command also considered other options as to the troops to be sent to the Eastern Front. They considered sending (1) a corps of two celere divisions and one armoured division or (2) a corps consisting of two armoured divisions and one celere division in addition to the option they finally chose. I have suggestions as to the ratings of Italian units during the period of Total War. These two divisions were part of the Italian army’s regular establishment and were complete at the start of the war. They had only a minor involvement in the Western Alps campaign of June 1940. During the period July 1940 to March 1941, they were were involved in hard training in northern Italy. This paid off in the Yugoslav campaign in the spring of 1941, were the divisions were considered to have performed very well. It was on the basis of this performance and their intrinsic mobility they were chosen for service on the Eastern Front. These two divisions were re-organized in late June and early July 1941, as they prepared to be sent to the Eastern Front. The 9th Pasubio Division received the 5th Cosseria Division’s Mortar Battalion and an AT company from one of the Bersaglieri regiments. Its artillery regiment was fully motorized. The 52nd Torino division got the 26th Assietta Division’s Mortar Battalion and the AT company from the Bersaglieri regiment of the 1st Eugenio di Savoia Celere Division. Its artillery regiment was also fully motorized. It is also reported that at sometime in 1941, 81 mm mortars replaced the 45 mm ones in the support company of each battalion of this and the Torino Division. This would be easy to dismiss this but there are some numbers to support it. There were 144x 81 mm mortars in the two divisions (72x in each) according to their establishments listed below, 9x 81 mm mortars in the 63rd CC.NN. Legion for a total of 153 mortars in active service in these formations. CSIR is supposed to have had 189x 81 mm mortars in active service in the summer/fall of 1941 according to an annex in the logistical history of the Eastern front. The Celere division had none. It is possible that some of the chemical warfare units with CSIR converted into support units in the field as sometimes happened, but they normally became flamethrower units. So it could be possible. It should be noted that a fully equipped 1940 type autotrasportabile division had 45 of these mortars, a 1940 infantry division had 30, and a North African autotrasportabile division had but 12. As mortars were one of the most important killers on the World War Two battlefield, the great increase in the divisional holdings of these weapons must be reflected in the divisional combat ratings. 2x battery of 20 mm AA guns (16x 20 mm). Given the additional weaponry, the improvements in command and control arrangements, and the heightened combat readiness due to long training and some battle experience, some increase in the combat rating is required for Total War. At a minimum, this division should be rated as a 4-5-8 for Total War, and perhaps it should go to a 5-8. This division was also part of the Italian army’s regular establishment and was probably the best of the celere divisions. It could justifiably be called an elite division. It was part of the Italian army’s mobilization covering force in 1940 and took part in the Yugoslav campaign. It was expanded for service on the Eastern front. Its bersaglieri regiment, which had been a bicyclist unit, was converted to a motorized unit. It received the organic bersaglieri motorcycle companies from both the 1st and 2nd Celere Divisions to join its own. It took the organic AT company from the 2nd Celere Division. The division’s armoured cavalry group (III Gruppo Carri Veloci «San Giorgio») was either brought up strength/reinforced from the other two celere divisions. The Horse Artillery Regiment, as mentioned in a previous posting, was reformed to give it a divisional artillery regiment. The three motorcycle companies would eventually be re-organized as one battalion. During its service on the Eastern Front during 1941/42, the division fought better than a statistical counting up of its elements would suggest. There was a synergy that accounts for its 5-8* suggested rating. In the first few months of 1942 (e.g.. during TW) the 6º Reggimento bersaglieri and 120º Reggimento artiglieria motorizzato were sent out as part of a planned re-organization of the 3rd Celere. The rest of the new units did not arrive until the summer of 1942 The 120º Reggimento artiglieria motorizzato was a newly raised unit at the depot of the 20º Reggimento artiglieria divisionale «Piave». The Italian official history of the artillery service says it arrived in Russia on the February 15th 1942 and operationally joined CSIR in the second half of March 1942. It was fully motorized in the Europa sense and consisted of one group of 100/17 (12x 100 mm) and two groups of 75/27 (24x 75 mm). The 6º Bersaglieri Regiment was detached from the 2nd Celere Division on January 20th 1942 and sent to Russia. The exact date of its arrival can be found in the Italian official history that is just on the CSIR operations, probably sometime in February. While it had been a bicyclist unit, the regiment as sent was now fully motorized. Its organic motorcycle and anti-tank companies were already serving with the 3rd Celere Division. The Feb I 1942 conversion in the SE Axis OB should be scrubbed. The process of conversion formally began on March 15th 1942. 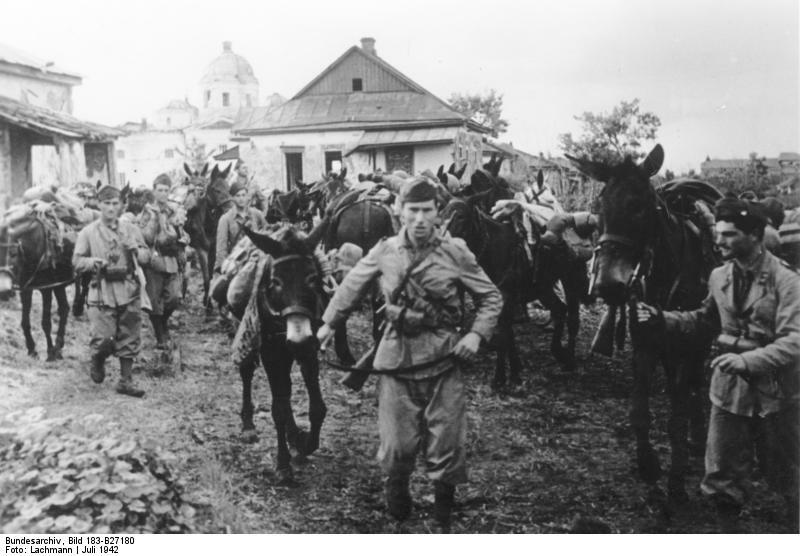 It was not completed until July 1942 when the horse borne units of the division were formally detached from the division. I think you are looking at a Jun I or Jul I 1942 conversion date in Total Victory with entirely revised values given to the successor units. This raggruppamento consisted of the following groups: LX (60º), LXI (61º), LXII (62º). Each group was equipped with twelve 105/32 medium howitzers for a total of thirty-six in this formation. The raggruppamento was fully motorized, but I have gone back and forth whether to make it combat/motorized in the Europa sense. On top of this, there is the “stripping” factor I have seen in every FitE/SE game I have played, where useful Axis allied combat units are used to support German stacks the reverse of what happened historically. I suggest the following two rules in TW to take care of this, at least in part. Only command and control rules would fully take care of it entirely. 1. No artillery unit from Italy or an Axis allied country can provide support for German units. Italian and Axis allied artillery units are halved in strength unless stacked with a division (or equivalent in REs of non-divisional units) from their own country. No additional rules, do not make it combat/motorized. This regimental sized unit consisted of two M.S.V.N. battalions and one army raised heavy weapons battalion (12?x medium MGs/9x 81 mortars/8x 47/32 AT guns). It appears not have been organically motorized, but usually was by the assignment of corps assets to do so. I would keep the counter as it was in Scorched Earth rather than a 1-6 Infantry III plus 1 RE transport counter. No changes from SE Axis OB, keep as a Feb I 1942 reinforcement. Italian machine gun battalions should be shown in Europa. They stand for themselves, but also for all the independent flame thrower, mortar, and chemical (converted in the field to the former two types) companies/battalions not presently shown. The 100 series battalions were fully motorized and can be considered combat/motorized for Europa. These two groups were not strong enough to be normally shown at the Europa level. However, I think they should be shown if people agree with the rationale I have come up with on how to represent Italian AA. There was originally a very long explanation of how Italian AA should be rated in this text, but I have cut it out because it was far too long to include in a message ostensibly about the CSIR. So given that other things are factored in, these two groups should be shown as 0-8 lt Anti-Aircraft II’s with AA strength of 1. The 75/46 was a good AT gun when pressed into service, but something has to be lost to give these units an AA factor.